DHCP to Assign IP addresses for Windows clients. Guy’s Simple Litmus Test: How do you assign a client’s IP address? As late as 2004 I read a survey that found 20% of organisations still assign static IP addresses to their client computers. 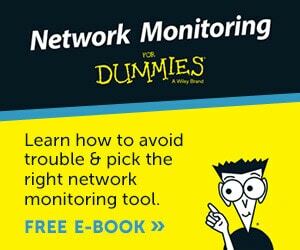 Reasons included the need to track IP addresses to individual machines and dislike of DHCP. 80% of respondents trust DHCP and consider it to be the way of the future. My feeling is that in 2006 only about 10% of administrators are ‘amateurs’ and still refuse to consider DHCP. It is relatively easy to configure a client so that it automatically get an IP address from the DHCP server. However, the benefits of DHCP are greater than just giving out the client IP address. For example, you can also give clients the IP address of the DNS server and the router. Thus if a DNS server changes its IP, you only have to alter configuration once on the DHCP scope. This is much better than going to every client and manually changing the default gateway at each TCP/IP property sheet. I heard a horror story of how one company had to employ a contractor to alter the default gateway of all 750 machines by hand. If only they had used DHCP it would have taken but a minute, a classic of modern methods reducing the TCO (Total Cost of Ownership). When you create a DHCP scope, as well as Router (DHCP Option Type 003), it costs little time to add a DNS Server (Type 006) and also Domain name (Type 015). It is worth checking out over 40 other automatic settings you can assign at the same time as the IP address. One persistent reason companies gave for not implementing DHCP was that it could not track who was using which IP address. They obviously did not realise that you could turn on Audit Logging. See more on DHCP in Server 2012. What Else is New with DHCP in Server 2003? On the server the DHCP server has to be registered in Active Directory before it can be activated. Microsoft claim this best practice is stop a tide of unauthorized DHCP servers on the network. Personally I think it is an unnecessary extra step! That said, I do recognise that there has been a tendency to have too many DHCP servers with the risk of duplicate IP addresses if the administrators are not careful with scope ranges. 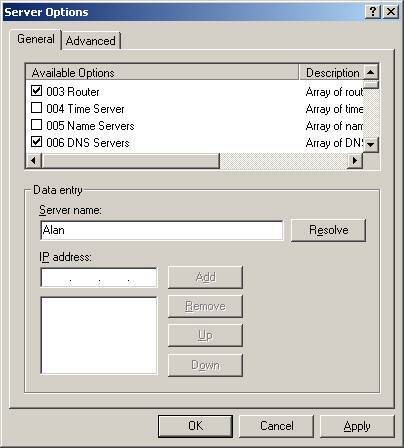 On a brighter note, Windows 2000 supports APIPA (Automatic Private IP Addresses). This was first introduced with Windows 98, if a DHCP server is unavailable, the client gives itself an IP address in the range 169.254.x.y. The benefit is that it can communicate with other clients on its subnet, and since it has a proper IP address, it can keep trying to contact the DHCP server for a more suitable IP address. Guy’s Advanced Litmus Test: How many DHCP Options do you configure? Amateurs: never configure any Scope Options.